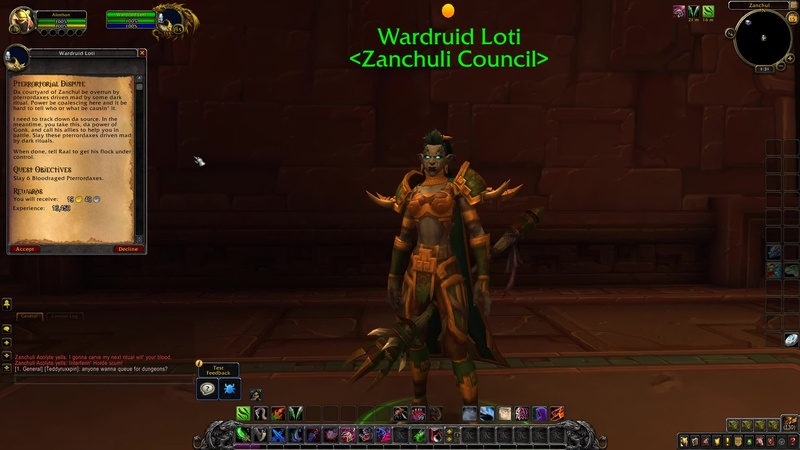 Wardruid Loti: Da courtyard of Zanchul be overrun by pterrordaxes driven mad by some dark ritual. Power be coalescing here and it be hard to tell who or what be causin’ it. I need to track down da source. In the meantime, you take this, da power of Gonk, and call his allies to help you in battle. Slay these pterrordaxes driven mad by dark rituals. When done, tell Raal to get his flock under control. 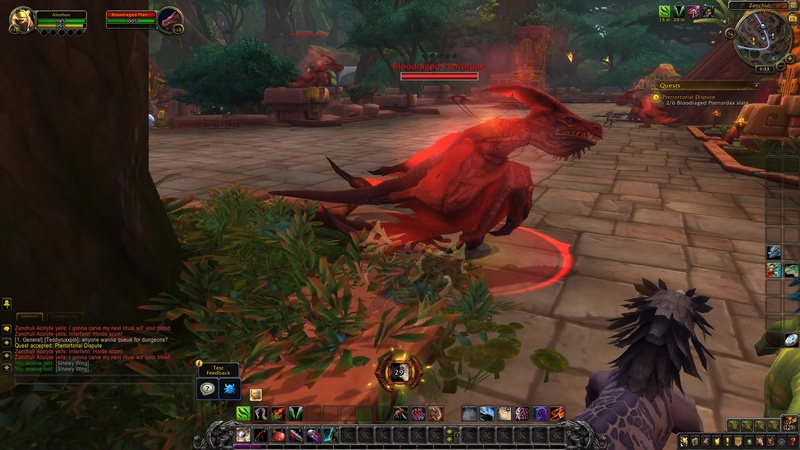 NOTE: The Bloodraged Pterrordax can be found west of Wardruid Loti, closeby. 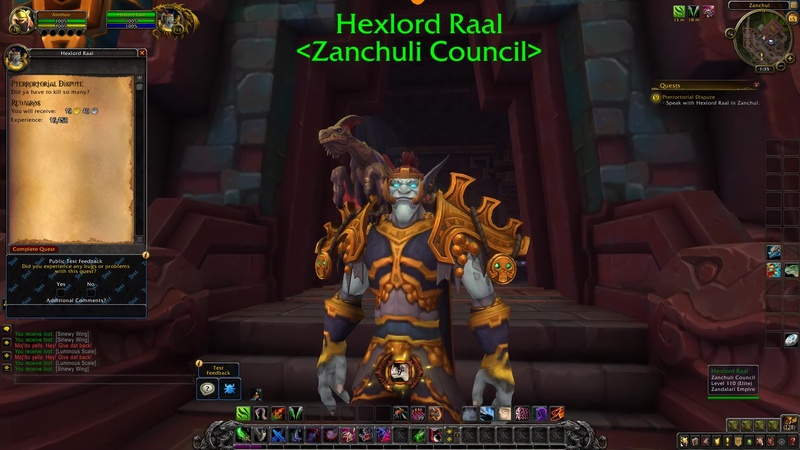 Hexlord Raal: Did ya have to kill so many?